Our research suggests that pressure to diversify is already influencing the composition of corporate boards and has been for many years. California recently passed historic legislation mandating that the boards of public companies based in the state include at least one woman. With just over 20 percent of S&P 500 company board seats occupied by women, it’s no surprise that progressive legislators are putting pressure on companies to diversify their boards. This pressure is part of a larger wave of growing public scrutiny over board composition. A reasonable question, however, is whether this kind of public scrutiny is likely to move the needle meaningfully on boardroom diversity. To what extent is board composition shaped by outside pressure and inspection? We recently examined this issue in a paper that is forthcoming in the Academy of Management Journal. We analyzed data on all directors seated on S&P 500 boards in 2013 — the most recently available data at the time of our study. Our question was this: Do boards seem to be “gaming diversity” in an effort to please the critics, or are they doing their best to include as many qualified women as possible? To figure this out, we first tallied the number of women seated on every board of directors in the S&P 500. We then compared these tallies to the counts you would expect to see if existing directors played a game of musical chairs and were reseated entirely at random. Why did we do this, and what can it tell us? Well, if companies are working hard to avoid having zero female directors, we would expect to see a lot fewer boards with zero women than we would see in our simulated game of musical chairs. Indeed, we found that 45 percent fewer boards have zero women than you would expect based on our reshuffling exercise. This finding suggests that boards are exerting effort to avoid having zero female directors, even in the absence of legislation requiring this. In other words, if boards weren’t being strategic about diversity, a few would just happen to include no women (because there aren’t many female directors to go around), but 45 percent fewer have zero women than chance would predict (given the number of women already seated on boards). 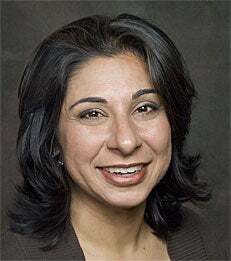 Dolly Chugh is an Associate Professor of Management and Organizations.